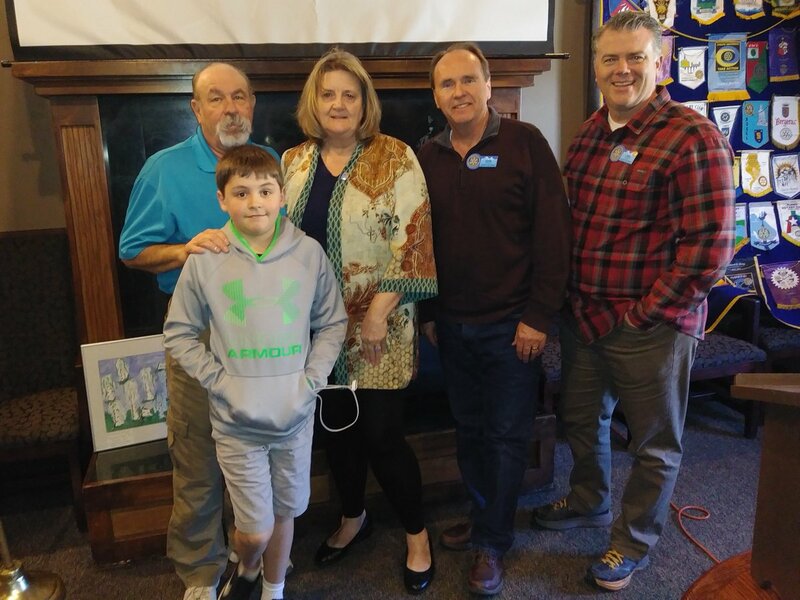 April 11, 2018 - Don Weekly, President of Peak Alarm and a Rotarian from Club 24 spoke to us about his recent trip to India. While there they helped vaccinate kids with the polio vaccine. Recent Service Projects - Brent Thomson delivering dictionaries to 3rd Grade Students at Grace Lutheran and Blessed Sacrament Schools. November 1, 2017 - District Govenor Bev Christy visited the club. She along w/ Diana, Brenda and Andrea have served as Club Presidents and represent the very positive impact that women have in Rotary. August 16, 2017 - Jennifer Cambpell spoke to us today about domestic violence. She gave us a glimpse of the many services provided by South Valley Services to people effected by domestic violence. October 12, 2016 - Melanie Speechly with UtahCasa.org shared with us the great things they are doing for children in Utah. Because of CASA Utah children will always have an advocate in court. June 8, 2016 - Kyle Taylor, Owner of Anytime Fitness in Sandy and one of our club members spoke to us about exercise ideas for busy people. Kyle gave us great insights and ideas on living healthier, exercsised filled lives on a tight time budget. Thanks Kyle! May 14, 2016 - For this year's Sandy Pride Day our club sanded and stained the benches around Bell's Canyon Reservoiur. In previous years, we installed the benches we re-finished this year. It was a beautiful morning and the people we were able to work side by side with made it even better. May 4, 2016 - Every year prior to Mother's Day we have our meeting at La Caille in Sandy. 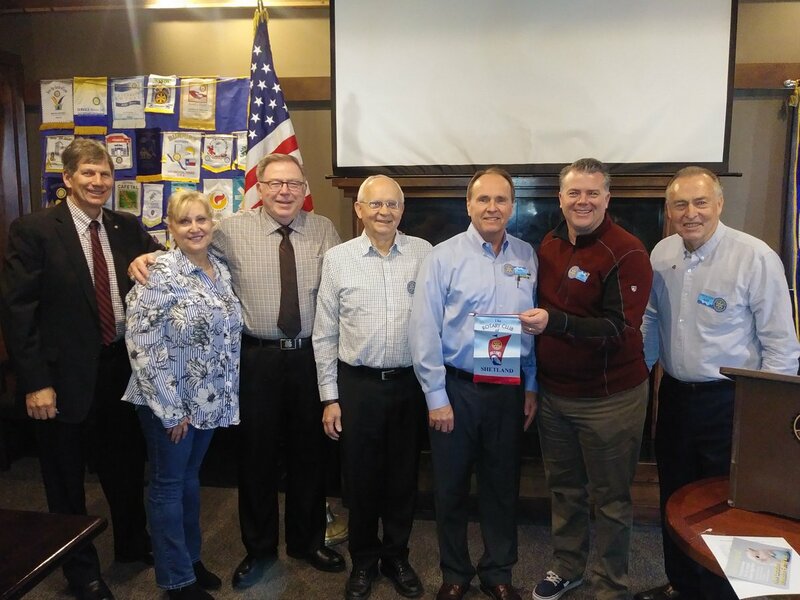 Our guest speaker this year was Dr. John Lund who spoke to the club about our relationships with those we care about most as well as the importance of Mother's in the world we live in. We received great advice and counsel. April 20, 2016 - Jay Francis, Executive Vice President of Corporate Affairs & Miller Family Philanthropy spoke to us about the magnitude of the Miller Family's charitable work and the many causes they support. We are lucky to have such the Miller's in our community. Thanks Jay! April 13, 2016 - Sgt. Ian Williams with the Sandy Police Department and the Utah Pipe Band spoke to us about the very long tradition and assoication of bagpipers with military and police. It was a fascinating meeting. Thanks Ian! 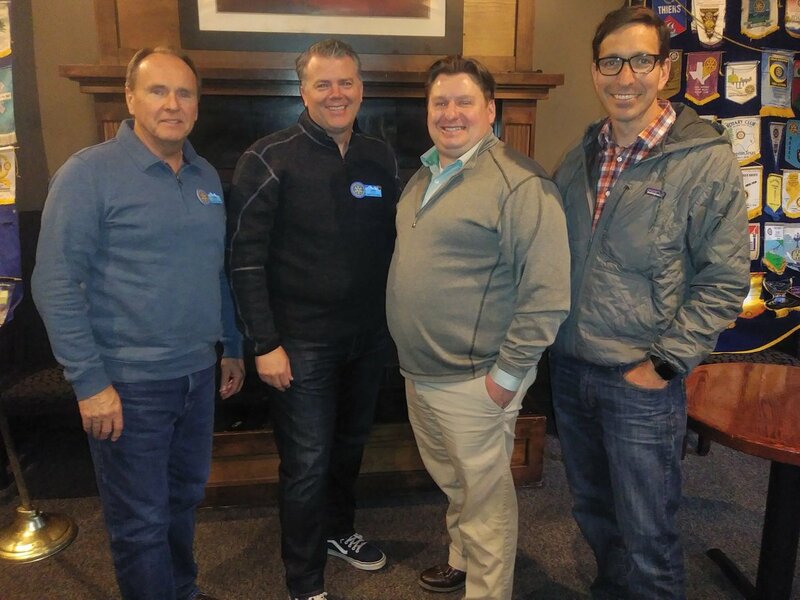 March 16, 2016 - Representative Robert Spendlove visited our club to update us on the highlights of the 2016 Utah State Legislative Session. He discussed many of the important bills that were passed as well as some of the important news that came from the session. The Sandy Rotary Club appreciates his service and for taking the time to come and visit us. August 19, 2015 - The 2015 Days of '47 Royalty spoke to us today. These young ladies are amazing! We appreciate them coming and sharing with us the importance of our pioneer ancestors. All three ladies would be great Rotarians! August 26, 2015 - Special thanks to Kathryn Clark, VP of WCF, Emotional Intelligence for visiting our club yesterday. September 23, 2015 - Beckah Meads of Youthlinc spoke to us about the great work they are doing here in Utah and around the world. Thanks Beckah!